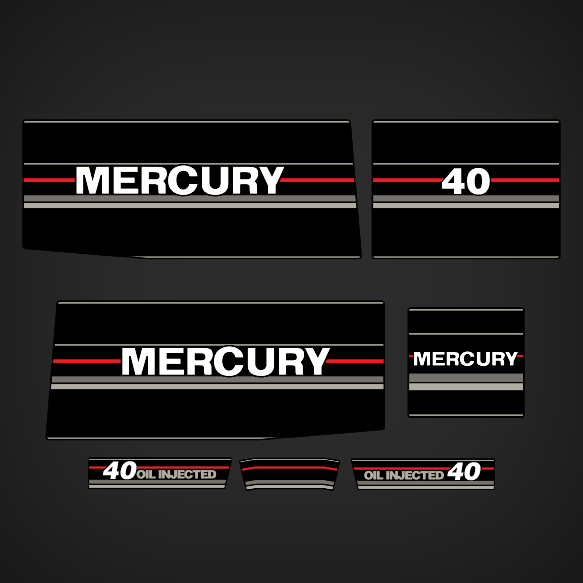 Replica of a Mercury 40 hp Oil Injected decal set for 1992-1993 Mercury Outboard motor covers. 40 hp decal - Rear Side. 40 OIL INJECTED Jock strap decal - Port Side. Jock strap decal - Rear Side..
40 OIL INJECTED Jock strap decal - Stbd Side. 1992 1993 MERCURY 40 hp MH: 1040200RB MH, 1040203MD MH, 1040203ND MH, 1040203PD MH, 1040203RB MH, 1040203RD MH, 1040203SD MH, 1040203TD MH. 1992 1993 MERCURY 40 hp MLH: 1040210RB MLH, 10402139D MLH, 1040213JD MLH, 1040213LD MLH, 1040213MD MLH, 1040213ND MLH, 1040213PD MLH, 1040213RB MLH, 1040213RD MLH, 1040213SD MLH, 1040213TD MLH. 1992 1993 MERCURY 40 hp MRC: 1040202RB MRC, 1040204RB MRC. 1992 1993 MERCURY 40 hp MLRC: 1040214RB MLRC, 1040212RB MLRC. 1992 1993 MERCURY 40 hp EO: 1040300RB EO, 1040302MD EO, 1040302ND EO, 1040302PD EO, 1040302RB EO, 1040302RD EO, 1040302SD EO, 1040302TD EO. 1992 1993 MERCURY 40 hp ELO: 1040310RB ELO, 10403120D ELO, 10403129C ELO, 10403129D ELO, 1040312JC ELO, 1040312JD ELO, 1040312LB ELO, 1040312LD ELO, 1040312MD ELO, 1040312ND ELO, 1040312PD ELO, 1040312PT ELO, 1040312RB ELO, 1040312RD ELO, 1040312RT ELO, 1040312SD ELO, 1040312SN ELO, 1040312ST ELO, 1040312TD ELO, 1040312TN ELO. 1992 1993 MERCURY 40 hp JET 30: 1040372PD JET 30, 1040372RD JET 30 EO, 1040372SD JET 30, 1040372TD JET 30. 1992 1993 MERCURY 40 hp ELPT: 1040410RB ELPT. 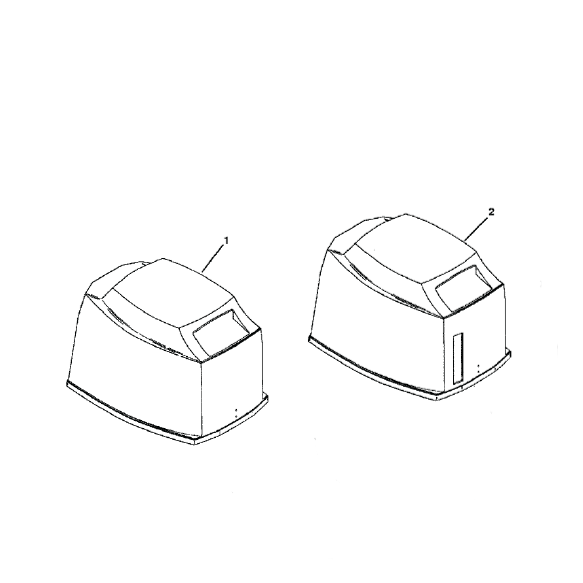 1992 1993 MERCURY 40 hp ELHPTO: 10404119D ELHPTO, 1040411JD ELHPTO, 1040411LD ELHPTO, 1040411MD ELHPTO, 1040411ND ELHPTO, 1040411PD ELHPTO, 1040411RD ELHPTO.